Always wanted to explore more of Mainland China but didn’t know how? We’ve compiled an essential guide to travelling the country on the cheap. 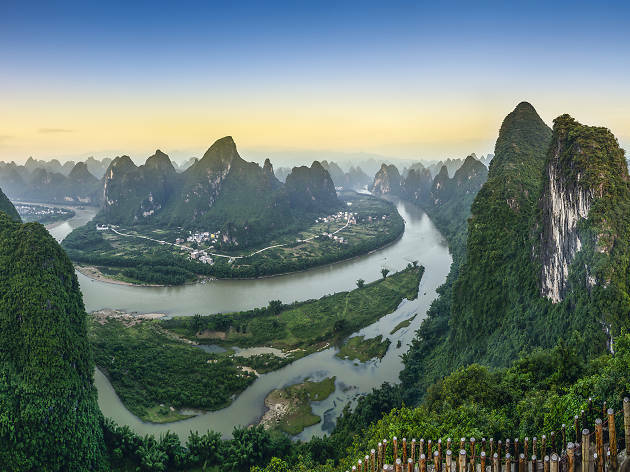 The jagged peaks of Guangxi that stab their way skyward from a base of picturesque rivers and rice paddies are one of the most remarkable natural wonders in a country strewn with them. Urban hubs such as Guilin and Yangshuo are predictably packed with tourists during peak months, but it’s possible to shake the hordes who flock to the area and witness stunning rural landscapes in relative peace. One of our favourite ways to escape the tourist melee is to hire a bike (around $38 per day) and head out into the surrounding countryside. Most places that rent wheels (there’s an abundance of cafés and hostels offering the service in Yangshuo) will also offer maps of the area with well-worn cycle routes zigzagging around the region. Really, it’s hard to make a wrong turn given that you’ll find pleasant villages, dramatic countryside and photo opportunities galore in any direction you choose to take. Return flights to Guilin with Dragonair (dragonair.com) start from $2,592 (inc tax). From Guilin, the best way to get to Yangshuo is by boat (see ‘Follow the money’ for details). To maintain your distance from the tour groups, we recommend staying at the Yangshuo Mountain Retreat (rooms from $500; yangshuomountainretreat.com). Situated on a bank of the river, this peaceful eco hotel was founded by American Chris Barclay and is staffed entirely by local villagers. In addition to organising tours, rock climbing and cookery classes, the hotel rents bikes and, if the weather turns nasty, you can always unwind in front of the open log fire in the main communal lounge. People in Jingdezhen are obsessed with porcelain. Students from around China study it at the Jingdezhen Ceramics Institute (jci.edu.cn); visiting artists are hooked on opportunities to experiment with it; and city planners decorate lampposts and traffic lights with the stuff. The city is a uniquely Chinese travel destination, featuring regular markets as well as numerous open factories and studios. The Sculpture Factory is where you’ll find the studios of artists who work with the local craftsmen. 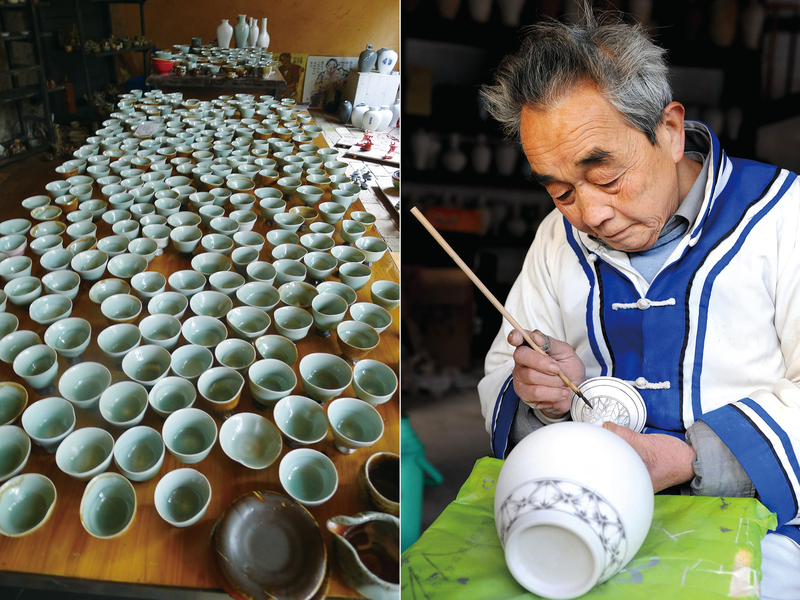 Production slows in the winter, but the city still hosts The Pottery Workshop and a solid hostel. The Pottery Workshop (potteryworkshop.com.cn) was established in 2005 and features its own small gallery, café and a well-attended Saturday market, with around 60 individual stalls run by entrepreneurial young potters. At the market you can buy mugs from $37, or modern, beautifully painted vases for around $810, and much more. The Pottery Workshop offers group tours and classes. It also has kilns for hire. Another spot worth a visit is San Bao (+86 798 8483 665; chinaclayart.com), a collection of traditional buildings that now house an international ceramics institute. It’s easily the most picturesque place in Jingdezhen. The institute, which was inaugurated in 2000, boasts a bar, the best restaurant in town and a museum. Air China (airchina.com) flies to Jingdezhen via Beijing from $5,195 return (inc tax). Comfortable and well situated, the Jingdezhen Youth Hostel (+86 798 844 8886; bit.ly/jdzyh) offers private rooms from $135. While much of Kashgar’s incredible old town has now been demolished, the surrounding region still boasts some spectacular landscapes that have remained largely untouched for generations. 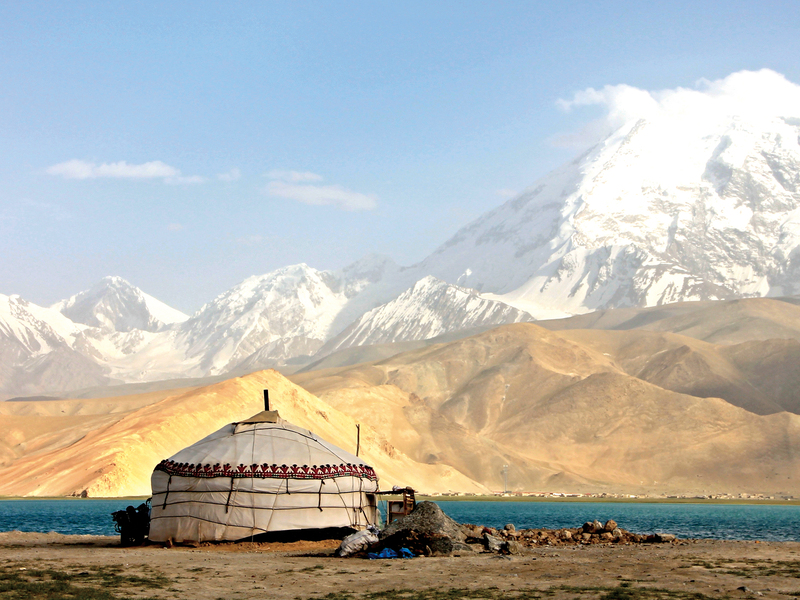 Tours out of Kashgar up into the mountains near the border with Kyrgyzstan and along the Karakoram Highway, the highest paved international road in the world, make for breathtaking experiences, with most taking in the beautiful Lake Karakul, 3,600m above sea level. A small village has been developed on the lake shore to accommodate tourists, but stopping here often means incurring an ‘entrance fee’ from the local authorities. Instead, you can take a private tour (kashgartour.com) that allows you to stay in a small clutch of Kyrgyz family yurts on the opposite side of the lake. From this base, you can wander around the lake and take motorbikes up towards the nearby glaciers. For a full-on trek, you can head via Tashkurgan and its old stone fort towards Muztagh Ata, a 7,546m-high peak that is a relatively straightforward climb (often with the help of a camel to take your luggage some of the way) compared to most mountains of its size. En route, accommodation is often with local ethnically Kyrgyz families in yurts, and facilities and food are basic to say the least. But the reward is seeing the second highest mountain in the Tibetan Plateau, which lives up to its imposing Uyghur name of ‘the ice mountain father’. Return flights to Kashgar via Beijing cost from $5,505 (inc tax)with Air China (airchina.com). Alternatively, you can fly to Urumqi, via Shanghai (from $4,395 return inc tax with China Eastern) and take a 23-hour train journey along the northern arc of the Silk Road (see ‘On track’). Daily buses run from Kashgar to Tashkurgan if you want to attempt the journey yourself (contact Kashgar CITS for details on +86 10 6522 2991), but we recommend travelling with Waheed Tours who can make all the appropriate bookings and provide an English-speaking guide. Contact waheedtour@gmail.com for a quote. The Unesco-protected Mogao Grottoes near Gansu province’s Dunhuang host one of the largest collections of early Buddhist art in China, dating back to 366AD, but unfortunately the site has become something of a tourist trap. However, an increasing number of cafes and hostels in Dunhuang offer camping trips out into the nearby Gobi Desert, enabling you to escape the crowds. Heading out into the middle of the desert might not seem like an ideal break, but camel treks to sites such as Crescent Lake (a half-moon-shaped body of water beside a dusty pagoda) and the nearby Mingsha Shan, or ‘Singing Sand Dunes’ (so-called because of the sound caused by winds whipping over the top of the sand), make for memorable trips. Tours (such as chinadiscovery.com) can be tailored to individual requests, with a standard journey to the lake and dunes costing around $500 a day and most including a camp stay overnight. Temperatures are regularly below freezing during the winter months, so visit between April and October. 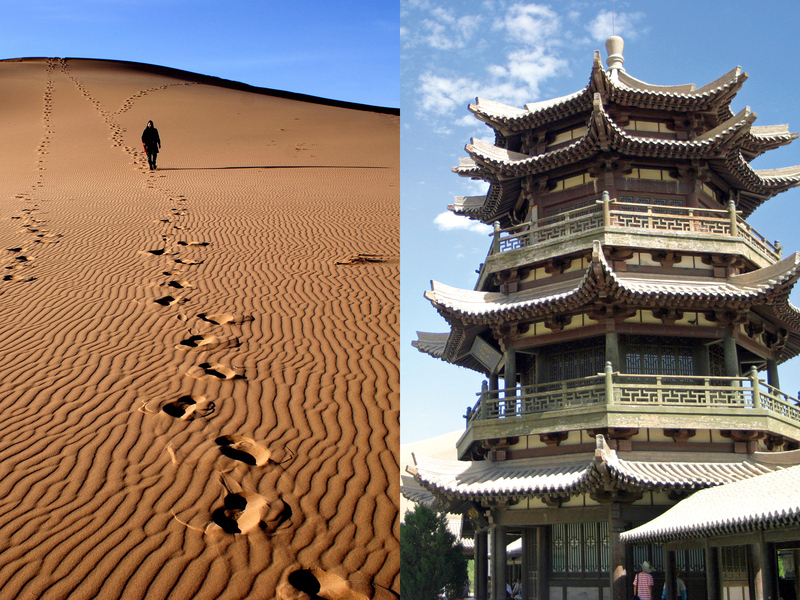 A flight to Dunhuang via Xi’an costs from $5,505 return (in tax) but requires a day layover. Rooms at the basic, but rustically charming Charley Johng’s Dune Guesthouse (+86 1389 3763 029), located on the outskirts of the city, start from $125 a night. Its sister establishment, Charley Johng’s Cafe, on Mingshan Lu, is also one of the better places to organise camel treks and camping trips – something you absolutely must experience. Most people head to the famous Chengdu Research Base of Giant Panda Breeding in Wolong to get their dose of China’s most famous animal. But if you’re after a more meaningful experience, Bifengxia Panda Base offers a far less touristy alternative. Also located within the bounds of the Wolong Nature Reserve, Bifengxia receives fewer visitors than the nearby Breeding Centre, and also offers volunteer placements. Before you summon up romantic visions of rolling around with cute and cuddly black-and-white bears, however, be warned that the majority of your work will be focused on picking up their poo. Return flights to Chengdu with Sichuan Airlines (scal.com.cn) are available from $1,377 (inc tax). To reach the panda base, take bus 902 from the Xinnanmen Long Distance Bus Terminal (90 minutes, $2.50). Buses depart every 35 minutes, from 7am to 7.30pm daily – be sure not to get off at Bifengxia Zoo, an unrelated facility along the way. Call ahead to check their opening hours. To sign up as a volunteer, you can contact the base directly (bifengxia.com) or apply through an external company. 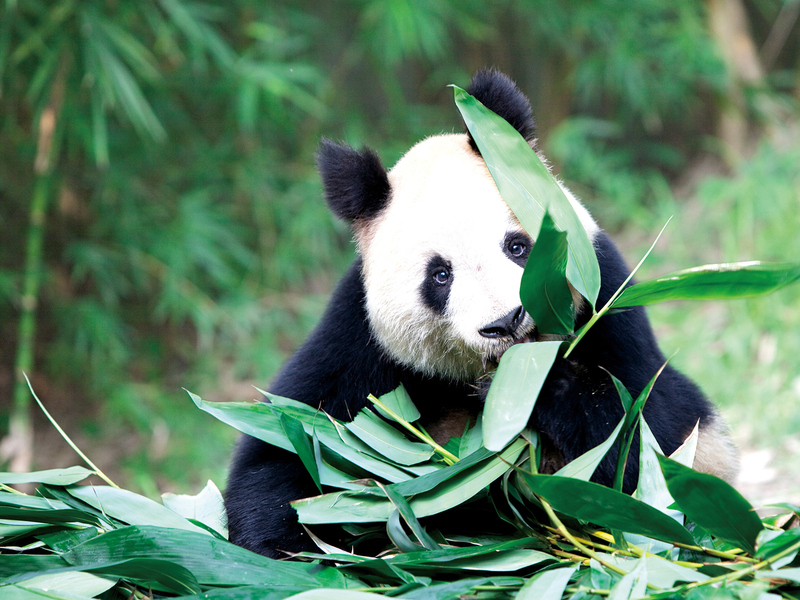 Accommodation is provided for volunteers; for visitors, it’s best to stay in Chengdu. Dragon Town Hostel (dragontown.com.cn) in the central Kuanxiangzi district of the city and Chengdu Mix Hostel (mixhostel.com) offer affordable options, with beds from $37 a night. 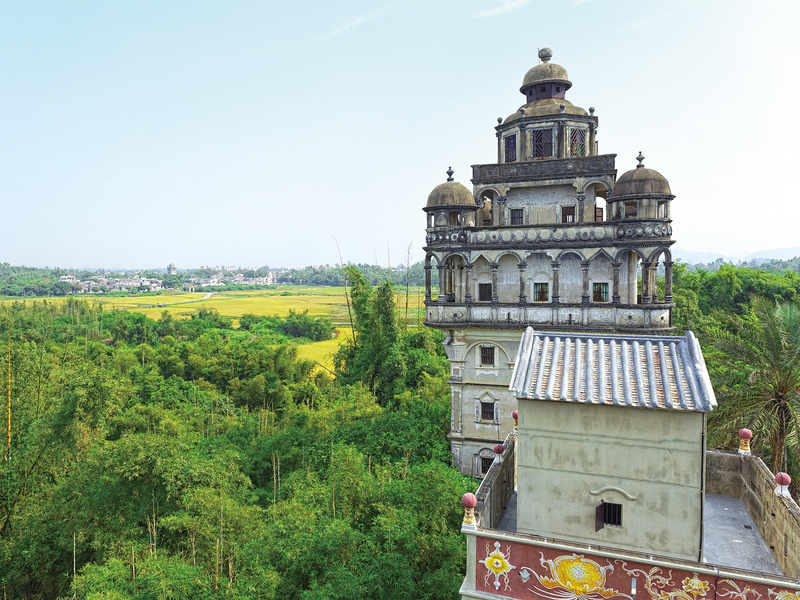 Until the early 2000s, many of the spectacular structures around Kaiping, in Guangdong, had been neglected for decades. A Unesco World Heritage Site designation in 2007 awakened the tourist market, before the buildings were thrust firmly into the spotlight thanks to Jiang Wen’s 2010 blockbuster Let the Bullets Fly. Built in the early 20th century by returning Chinese immigrants from America and Malaysia, the fortified structures provided the perfect backdrop for Jiang’s scenes of tussling warlords. Though you’re now more likely to do battle with a megaphone-wielding tour guide, the clusters of watchtowers and mansions still make for incredible scenes rising up out of the treetops. In their heyday in the 1920s and 30s, there were around 3,000 diaolou (watchtowers), but today only around 1,800 are left standing. Despite significant restoration efforts by local authorities, most of the structures remain in various states of disrepair. This, in part, is what gives the region its beauty – the watchtowers are arguably more striking when in decay than when they’ve been patched up. The main areas to explore are found in and around four villages: Jinjiangli Cun, Majianglong Cun, Zili Cun and Tangkou Zhen. The leaning watchtower in Nanxing Cun and the preserved gardens at Li Yuan are also popular destinations. One of the best ways to navigate the watchtowers is by bike; the Tribe of Diaomin hostel (see ‘Essential info’) is a good option for bike rental and cycle tours. Return flights to Guangzhou with Dragonair (dragonair.com) start from around $2,217 return (inc tax). From Guangzhou, regular buses leave Tianhe Bus Station (located on Line 3 and Line 6 of the Guangzhou metro) to Kaiping, taking two hours and costing $47. Upon arrival in Kaiping, you’ll be met by a swarm of pedicab and black-taxi drivers offering you tours and rides into the surrounding countryside. Kaiping itself is a fairly run-of-the-mill Chinese town, so you’re best off taking a local bus to Chikan Cun, where you’ll find the Tribe of Diaomin hostel (126 Henan Lu; +86 750 261 6222; kpdmbl.com). Located close to an impressive waterfront promenade dating back to the 1920s, the hostel offers basic facilities with double rooms from $150 a night. They can also provide bike rental and maps of the area or help book tours to the nearby villages. Arguably, the best method to see the watchtowers is to pick up a map and make your own way.